Choripán is a typical Uruguayan sandwich, that is also popular in Argentina, Chile, Paraguay and part of Brazil. The word choripan comes from the contraction of the words chorizo ​​(sometimes nicknamed simply chori) and the word pan (bread). It is therefore a chorizo ​​in bread in the manner of the famous hot dog. The chorizo ​​that is used can be criollo or parrillero. In any case, it must be fresh and soft. Chorizo ​​that is made in Uruguay consists of a majority of beef and one third of pork. As a result, its taste is different from that of other parts of the Hispanic world where it usually contains a much larger amount of pork. This chorizo ​​is neither smoked nor dried, and contains many spices such as nutmeg, paprika, cinnamon, clove and fennel. Wine or vinegar are sometimes added to make it even creamier and juicier. 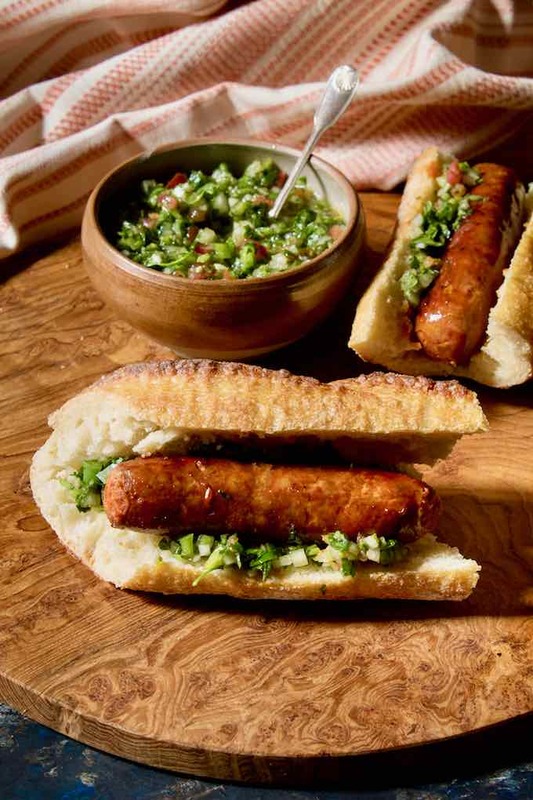 Choripan is then topped with a chimichurri sauce, a condiment native to Argentina that contains many herbs. 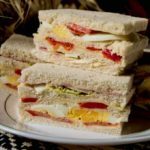 This economical and nutritious sandwich is quick to prepare, a likely reason for its success. This South American version of the hot dog is delicious and has seduced fast food fans from around the world for a few years. Choripan can be consumed as part of an asado, that is to say a meal of grilled meats that is an important social moment. It is not a simple barbecue but a true cultural ritual. Chorizo ​​must be cooked first. To do this, it can be grilled on embers, a griddle or in a pan. It is then placed inside a French bread, simply split lengthwise but not completely open to hold the chorizo ​​and the juice it contains. The bread can also be toasted for a minute to heat it. The sandwich is garnished with chimichurri sauce. 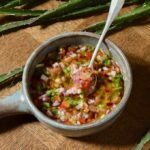 This sauce is so popular in this part of Latin America that everyone has a jar always ready to go. In addition, this sauce can easily be stored for up to two weeks in the refrigerator. It is prepared from a mixture of olive oil and vinegar in almost equal amounts. Lime juice, bell peppers, hot peppers, lots of garlic, tomatoes, shallots, salt and a generous amount of aromatic herbs such as parsley, cilantro, tarragon, oregano or thyme. This sauce is more widely used on all grills, whether it is meat, fish or vegetables. It beautifully enhances the flavor of a dish, makes it fresher, and also more digestible because vinegar and aromatic herbs such as tarragon facilitate digestion. 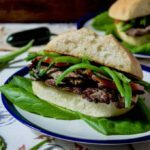 What is the origin of choripan? Choripan is typical of the region of Rio de la Plata. Its origins date back to the 19th century, when local cowboys and famous gauchos used to eat a simple meal, a quick snack, usually meat-based, before returning to work. 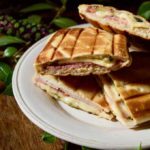 This sandwich was then popularized in the cities until becoming the essential companion of football games, carnival and meals quickly consumed in Uruguayan bars. It is also offered by street vendors throughout the major cities of the country. What are the other versions of choripan? The chorizo ​​can be cut lengthwise, the sandwich will then take the name of choripan mariposa (butterfly choripan). 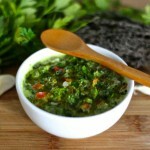 Chimichurri sauce can be replaced by salsa criolla. You can also replace this sauce with pickled vegetables. Toasted sandwich bread is sometimes substituted for baguette. 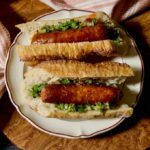 Although Uruguayan chorizo ​​is different from Spanish or Mexican chorizo, the sausage or chorizo ​​sandwich is a classic in many countries. 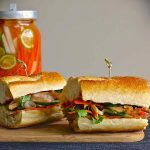 These sandwiches are quick to prepare, very satisfying and allow endless combinations of products to spice it up. The quality and freshness of the ingredients is paramount. Choripan is also very popular in Argentina where it counts as one of the ten favorite dishes of Argentines. It is estimated that about six hundred million are consumed per year, about 15 per person. 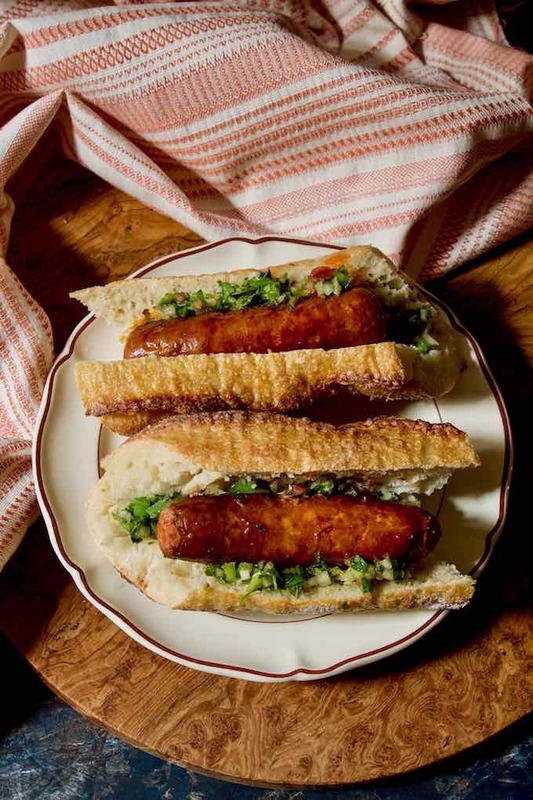 In Chile, pork sausages are more commonly used than chorizo ​​to make this type of sandwich. 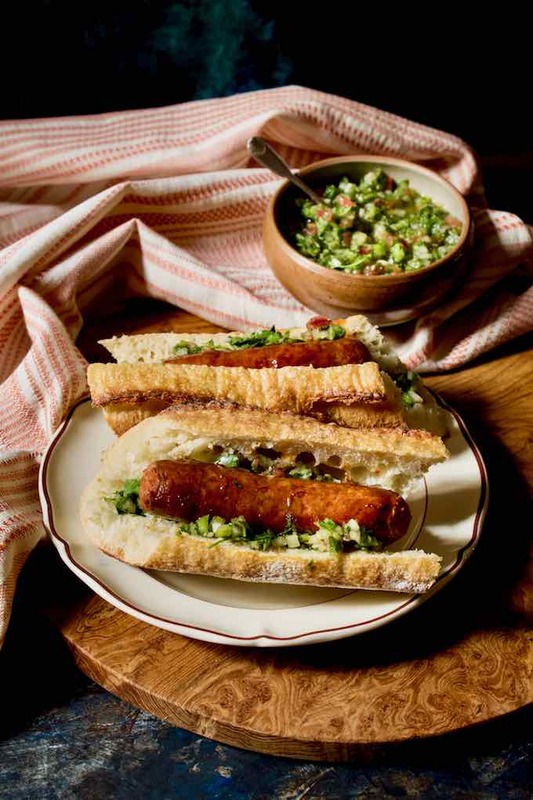 Choripán is a delicious sandwich made with chorizo ​​and chimichurri sauce popular in Uruguay, Argentina, and Chile. This sauce must be prepared at least two hours before eating it or the day before to let all the aromas infuse. Peel, seed the tomato and grate it finely. Finely chop the peppers, garlic and shallots. Put all the ingredients except the olive oil in a blender and chop them without mashing them completely. Two pulses should be sufficient. Finally add the olive oil and whisk a few seconds manually. This condiment can be kept for 15 days in a glass jar in the refrigerator. Place the chorizos on a grill over medium heat. Turn them several times during cooking. Slice and open the bread without separating it completely. Place the bread on the hot grill for a few seconds and lightly toast. Open the bread, pour in a spoonful of sauce, place the chorizo ​​and pour some more sauce over it. Renards Gourmets, thank you for your blog post.Really thank you! Awesome.